Anu Aggarwal is a vampire hunter and a well established and admired one at that, who flies to New Delhi from her usual haven of action, New York, the reason behind the detour being a debacle from her recent past. Her boyfriend Brian was murdered and Anu who couldn’t be her usual normal self after the incident sets out to quench her vengefulness and for that purpose reaches Delhi from where hails the murderer, supposedly a malicious vampire. The vampire hunters, as is revealed is a vast network with branches throughout the world. What awaits Anu in Delhi is yet another villain on prowl who is on a murderous rage, but this time the killings are more purposeful aiming small kids in and around the city. Anu decides to set aside her actual mission of tracking down Brian’s killer to be followed up later as a dire situation is at hand that moment , involving the lives of children. 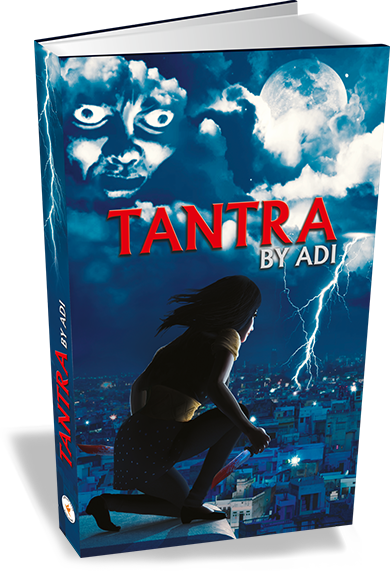 Eventually Anu, owing to her late night vigilant strides through the dark alleys of the city, seeks out the person behind the cascade of murders and realizes that the mode of his action is entirely different, more to do with Indian tantric powers than mere slaying. Anu with the help of her hunter friend Amit finds out the roots of the particular ceremony utilizing fire, akin to black magic, from a person by name Dr. Sharma. Though reluctant at first to accept the relevance of such ideologies in the modern times, Anu soon comes to terms with the validity of the same and diligently masters the Astras that a Pandit Grover teaches her, so that she could win over the villain. The events that unfold in the backdrop of her mastery, finally leading to an eventful and gripping ending is what makes the rest of the story. On parallel grounds follows the story of Anu’s encounters at home with her desi aunt, who is determined to have Anu in wedlock at the earliest. Irked by the intentions of her aunt and bogged down by the failure on her part to seek out Brian’s killer, Anu tries her best to coax her aunt against her fervent search for a groom, but her attempts go futile and eventually she yields to her aunt. A few incidents revolving around the event and also a marriage function which Anu attends with her aunt takes Anu’s life on a new turn and she starts acquainting with a person called Gaurav. Anu slowly falls for Gaurav and on realizing this the villain seizes Gaurav forcefully to use him as a bait to lure her into his dynasty. What happens eventually is for you to find out. The protagonist, a female warrior is new to Indian Fiction scenario and that comes as a welcoming change from the chunks of chick lit books flooding the market. Also the story is on the lines of a thriller, which means a fast paced page turner is in offer for the readers who struggle to find time for reading amidst their hectic schedules at work. The language is really good with a commendable choice of words and the author has maintained a lucid, engaging flow from beginning to end, something I look forward to in any book I take up to read. In that regard I am quite happy with my selection. If to point the downsides, I feel the Anu’s past and the events in New York that ignited a spate of revenge in her needed to be dealt more in detail. I couldn’t relate much to her loss as the book didn’t provide any reason to, other than a few isolated titbits from her past sprinkled at places to serve the need for a plot setting for the story. In addition to that the author has left the characters dangling loose, without much probing on their life. Much more detailed account on each one’s life and path would have been engrossing enough. We don’t know much about Gaurav other than the fact that he is relentlessly flirting with Anu and that there is a resplendent thread connecting them together. Amit and Suresh, their Head in Delhi are also in the dark, brought to the foray whenever the story demands Anu to interact with them. The ‘ shift’ that is mentioned in the story came across as vague to me. I had to go with the flow at those places, ignoring the doubts. The cover page lacks charm, but then it doesn’t matter much, for the blurb is alluring enough and that should tempt the reader to grab a copy. Indian mythology and spirituality make vibrant topics for fictional works, as is evident from the wide acceptance of Amish tripathi’s Shiva Trilogy. The non Indian readers would definitely be intrigued by the details on the Asthras and the idea of Tantra. The portions narrating the same have been perfectly crafted and those would easily be one of the highlights of the book. The Dekhan Dekhi event is another enticing one and the author has sketched it interesting enough with a dash of humour to coat it with. Anu’s quest for Brian’s killer is still on and that would probably be dealt with in the sequel. I would recommend this book to any reader who is in search of a fast and gripping read. If you are someone who is adamant on catching up with your reading on a working day, well then this book definitely is for you. All in all a good read and i liked it despite the flaws. My rating would be a 3.5/5. This review is a part of the biggest Book Review Programme for Indian bloggers by www.blogadda.com. Participate now to get free books. Revenge, Vampires, Tantriks, Spirituality… seems like an interesting mix. Very nicely summarized, Maliny. Sorry, not been able to read your latest posts, very busy with my IAS preparations, only 8 weeks away. So my blog is in hibernation, will write something soon. I am fine here. I didn't know about the IAS preparation. Good Akshay. Give your best! I agree, stuff about Indian mythology and spirituality have been explained well and I too think background information was missing! I suppose those terms (like 'shifting'), which are used in fantasy stories weren't explained and that's why it was tough to understand them. Vampires within Indian mythology, new and interesting mix for me. Thanks for the book, will add it to my Mustread list of August. For passionate readers like you all,I came across a real-time marketplace, where we can buy / sell new or used books at the best price by bargaining online “www.mydeals247.com”. Just have a look, you won't be disappointed.